Can anyone stop a 2017 final repeat in Las Vegas? 44 games and counting. Approaching 2 years. Canada is one week away from being undefeated at the World Championships, men's and women's, for 2 YEARS!! The last Canadian loss at a world championship was Niklas Edin defeating Kevin Koe in the RR back in 2016. Of course Koe would go on to win his next four games en route to the world title and Canada has not looked back since. 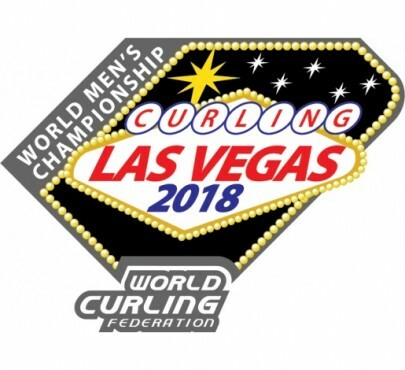 As the 2018 World Men's Curling Championship is set to hit the ice in sunny Las Vegas, Nevada this weekend all eyes will be on Canada's Brad Gushue. The team from The Rock come to Vegas fresh of defending their Brier title a few weeks ago in Regina and will look to go 2 for 2 on the #defendtheice theme by trying to replicate their world title victory from a season ago in Edmonton, AB. Gushue will walk into the Orleans Arena as favourites but they will not be considered overwhelming favourites. Watch out for the #SwedishVikings who have revenge on their minds! Last year Gushue and Edin were co-favourites for the world title in Edmonton. And, to the surprise of nobody, they squared off in the finale. Gushue would defeat Edin to pick up his first world title and deny #KingNiklas his third world championship. But the Canada - Sweden rivalry is not solely defined by Gushue vs Edin. It was only a handful of days ago we saw another chapter in what is becoming the best nation vs. nation curling rivalry. Canada's Jennifer Jones defeated Sweden's Anna Hasselborg to claim the World Women's Curling Championship in North Bay. Jones collected her second world title and denied Hasselborg her first. Now of course at the 2018 Winter Olympic in PyeongChang, Sweden walked away with bragging rights when Edin won a silver medal and Hasselborg took home the gold while Canada was denied a men's and women's podium spot for the first time in Olympic history. But maybe the results in Korea were a bit of revenge for Sweden from the 2017 world championships? As mentioned, Gushue knocked off Edin in the world final but we cannot forget Rachel Homan going undefeated at the 2017 world championships while Hasselborg settled for a disappointing 4th place finish. And how about taking a look back even further into the history books. At the 2015 World Men's Curling Championship in Halifax, Edin and Canada's Pat Simmons squared off in the SF. Edin would defeat Simmons 6-3 to advance to the championship final. Edin of course would win the final over European rival Norway's Thomas Ulsrud while Canadian curling fans settled for watching Simmons win the bronze over another Nordic country, Finland. In fact, Sweden has crushed the hearts of Canadian curling fans at the world men's championship a few times. Current #SwedishVikings vice Oskar Eriksson ended world championship aspirations for Canada's Kevin Koe at the 2014 championships in Beijing. Eriksson would lose the final to Ulsrud while Koe would take home a bronze for Canada. We certainly cannot forget Edin's first world championship win. He took home the title in Victoria at the 2013 World Men's Curling Championship when he would "upset" (at the time anyway) Canada's Brad Jacobs 8-6 in the final. The Canada vs. Sweden rivalry has been building and growing for the past 5 years with Edin being the #SwedishViking face of the rivalry and taking on Canada's top men's teams year after year after year. 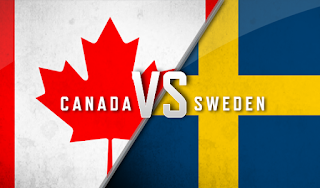 And this rivalry is far from over with both Canada and Sweden heading into the warm desert sun as overwhelming favourites to battle it out in a championship final once again. But maybe we shouldn't just advance them through the RR and 6-team playoff format yet? Could we see a few teams challenge the Big Dawgs for the title? And we saw a #TeamUpset emerge at the women's worlds with USA's Jamie Sinclair finishing 4th. Could we see another #TeamUpset jump up the standings and make a playoff push in Vegas? I am not going to slide into the format conversation in this preview, I think that has been discussed enough. If you are looking for a good read (at least I think it is a good read) check out the #FormatFrustrations blog post earlier this week where #TwineTime presents a few playoff format options which could work in curling. Format: 13-team RR with Top 6 advancing to the playoffs. Top 2 earn byes to the SF. Canada (Brad Gushue) - What can we say about The Goo that has not already been said leading into this event? The team sports a mind-boggling 56-14 record on the season. They defended their Brier title. They have won 2 grand slam events this season (Tour Challenge, Masters). They own 4 titles overall this year. They knocked out an impressive 23-match winning streak earlier in the season. And they just competed in another #gsoc final (losing to Mike McEwen in the Elite 10). They also own an 8-0 H2H record on the season vs. their competition this week, including 3-0 vs. main rival Edin. Pencil this team into the finals now folks. The only real "drama" will be seeing how long they continue the #TeamCanada winning streak. Sweden (Niklas Edin) - Speaking of impressive records on the year, the #SwedishVikings are 66-25 this year. They will surpass the 100 game mark of their season during the RR here in Vegas. 100 games! They have won 4 tour titles this season. They won the European Championship back in November. They reached 2 #gsoc finals. And they just won another Swedish National Championship, almost a tune-up for this world championship. We know what we are going to get out of this team. We will see great shot making. We will see outstanding runbacks and in-off's and triples....they can be a TSN highlight reel. Without question a co-favourite with Canada but the question remains whether all of this curling is catching up with the team, especially the skipper's body? And will they suffer any mental or physical fatigue from a very emotional season already? Of course they own a 0-3 record vs Gushue on the season but also sport an impressive 11-2 record vs everyone else. If they can sweep through those potential hurdles, there is no reason to doubt Edin hoisting the world championship trophy for a 3rd time in just over a week. Plus, as you all know, I always have a soft spot in my heart for a #TwineTime fam member! Scotland (Bruce Mouat) - What a breakout season it has been for the 2016 world junior champion. Yes you read that correct...2016 junior! Mouat is barely out of his junior glory days and here he is ready to compete for his first men's world title. And not only compete but perhaps give the big boys a run! Mouat is 59-19 on the season with 5 tour titles on the year. Yup...5!! Mouat also now holds the distinction of not only being the newest member of the #gsoc champions table but also the youngest when he won The National earlier this year at the age of 23 and only the second European men's grand slam champion (after Edin). How's this for confidence leading into his first world championship? Not only did Mouat go a perfect 11-0 to claim the Scottish title, he defeated Olympians Kyle Smith 2 games to 1 to earn his spot in this field and then just won a #wct title in Aberdeen two weekends ago (including knocking off 3 of his opponents here in Switzerland, Germany and Netherlands). Mouat owns a 10-2 record vs his competition this week, including 3-0 vs. Korea's Chang-min Kim. This blog has been a fan of Mouat since his 2016 world junior win and proclaimed him to be the real deal future of Scottish curling. If you don't know his name yet I 100% guarantee you will by the end of this world championship! Korea (Chang-min Kim) - Speaking of breakout season, how about Korea's Chang-min Kim? Sporting a 52-30 record on the season, Kim has reached 5 tour finals, including The National final vs. Mouat where he was the first #PACC team to reach a #gsoc final. Unfortunately they have yet to get over the hump and win a tour title this year but 5 finals is still an impressive accomplishment. Remember they did also win the Pacific-Asia Championship in November. Plus they are one of three teams competing this week who also competed in PyeongChang (Edin and Retornaz the others). The Olympic experience may not have been what they were hoping for but winning 4 of their final 5 games after a disastrous 0-4 start certainly provides some sort of happy ending for the home nation team. This season they sport a 4-6 H2H record vs. their competition. It may be a stretch to see them compete for the title in their first appearance but do not be surprised if they are in the playoff picture and playing for a bronze medal here, quite remarkable for a nation competing in only their 5th ever world championship (first was only back in 2003, their best ever finish of 10th place). Norway (Steffen Walstad) - We have heard a few mentions over the season asking "What happened to Walstad this year?" And it is a very valid question. Walstad started the season reaching the SF in Baden, the magical run to the #gsoc Tour Challenge championship final and another SF run in Cornwall. And then the train jumped the track a bit. They failed to qualify in 3 of their next 4 events and were not the same consistent team we watched heat up the ice in Regina for the Tour Challenge. Overall they own a strong 42-16 record for the season and just one weekend ago defeated #ThePants Ulsrud to claim the Norwegian title. This will be Walstad's second world championship appearance, having competed last year with a respectable 5-6 record. The experience of being here last year may help the 29yo skip. Again, as discussed in last year's preview, the wild card for this team could be vice Markus Hoiberg. Hoiberg won a world title in 2014 and a silver in 2015 as an alternate for Ulsrud so his experience could be key. Expect to see them around come playoff weekend...and then anything can happen?! Italy (Joel Retornaz) - Speaking of Italy, they are the final team competing in Vegas who also competed in PyeongChang at the 2018 Winter Olympics where the Italians finished 3-6 and missed the playoffs. Credit to Retornaz though as this was his second Olympic appearance and he does own the distinction of pulling off one of the biggest upsets in Olympic curling history when, in 2006 in front of a home nation crowd, he knocked off Canada in the RR. And who was the Canada skip in 2006? Why Mr. Brad Gushue of course! They will be in tough here as they happen to be one of three teams coming into the competition with a sub-.500 record on the season, sitting at 29-37, failing to qualify in 6 of 7 events. They did not have a strong lead-in event prior to coming to Vegas either, going 0-4 in Aberdeen. But also props to Retornaz for continuing to try and #growthesport back home in Italy. After competing at last year's world championships, this will mark the first time Italy has appeared in back-to-back world championships since their run of 14 straight between 1973 and 1986. In fact this will only be the 7th championship appearance for Italy since 1990. Sure that may not earn them a medal but it is still a great distinction for a nation still trying to find its footing on the curling ice. Also note Retornaz is listed as the skip but actually throws vice stones. The final rocks belong to the hands of the big man, Amos Mosaner. Netherlands (Jaap van Dorp) - Another team with an under .500 winning record this season at 34-36, Netherlands van Dorp returns for his second straight world championship and only the third ever for the Dutch. Last year in Edmonton, van Dorp finished in 11th place with a 1-10 record. The major accomplishment last year was just getting Netherlands back to the world championship ice for the first time since 1994. This year they will look to up the ante and try to make a run at a .500 or better record. This team has played in 9 tour events this season and qualified in 3 of them, including a championship win in Moscow in January and a 3rd place finish at the prestigious Swiss Cup in Basel back in early October (which included a SF loss to Gushue). They had a strong showing at the European Championships finishing with a respectable 4-5 record but faltered at the final Olympic qualifying event going 1-6. This season they own a 5-15 record against the competition in Vegas but do own a W over Edin earlier in the year (Edin's only loss at the European Championships btw). The plus side for this team is they have played nearly every team competing this week so familiarity and comfort will at least be there plus they won't have as much of the rookie shock of the event to deal with. A playoff spot might be out of the question but a push for a .500 record is feasible. China (Zou Dejia) - Zou may not be a well-known name around the curling globe for fans but do not underestimate this team just because you have not seen them a lot. They are a modest 21-18 on the season and have played in 8 events. They reached the SF in Kitchener-Waterloo and followed up that performance with a final appearance in Edmonton. Zou has been to a world championship before, playing vice in 2015 for Zang Jialiang (4-7). It is not out of the question to see Zang replicate or better his win total from 2015 here in Vegas either. Remember this team had a strong run at the Pacific-Asia Championships this season, reaching the final before succumbing to Korea's Kim. He is 1-3 with the H2H record, including 1-2 vs Kim (other loss to Russia's Timofeev). A playoff push is not likely but pushing towards the 4 or 5 win mark is not out of the question here. Japan (Go Aoki) - Ok folks, I like to think I have an above average knowledge of this sport and the teams competing especially internationally. But this team from Japan has me stumped. We don't really know much about them...which can be a true danger for their competition. We see it in golf, tennis and other sports where a team/player nobody really knows comes out of the gate and surprises everyone. The key to success for Team Aoki will be a quick start opening weekend and really leveraging the knowledge of National Coach (and #TwineTime fam member) J.D. Lind. In fact I reached out to Lind for some info on this team and, according to Lind, they already own the #TeamUpset flag bearer status for the Opening Ceremonies folks. With Yusuke Morozumi unable to compete at Japanese Nationals due to the Olympics, this team was formed just for the playdowns. They entered as HUGE underdogs and ended up knocking off heavily favoured Team Abe in the final. Worth noting Team Abe was undefeated heading into the final too! This is the future of Japanese curling though folks with our last rock thrower being the tender age of 17. A 17 year old playing his first world championship....in Las Vegas....wowzers! No patch party for him though as the legal drinking age is 21 remember. Too bad! It may be a tough battle for Aoki to live up to the strong results Morozumi has put up in recent world championships, including a 4th place finish in 2016. But who knows? An unknown for the field could continue the #TeamUpset story very easily! Russia (Alexey Timofeev) - The final team sporting a sub-.500 record coming into the world championships, Russia's Timofeev will be hard pressed to make a playoff push this week. The team is 14-16 on the year and do not have a ton of on-ice matches to draw from this year, failing to qualify in all 3 tour events they have played. At the European Championships in November, Timofeev and the Russian brigade finished a disappointing 4-5 to miss the playoffs. They also competed in the Olympic qualifier in December in the Czech Republic and missed the playoffs with a 4-3 record. On the bright side, they own a 5-4 H2H record vs. the competition this week. This will be Timofeev's third straight world championship appearance after going 2-9 (2016) and 0-11(2017). Expect a better result this time around, in fact I even see them hovering around the .500 mark by the end of the week, but still outside the playoff hunt. Plus they open with Canada's Gushue....probably a blessing in disguise to get that one over with at the beginning. Switzerland (Marc Pfister) - How about another skip making his third world championship appearance? Switzerland's Pfister returns to the world championship stage after previously skipping a team in 2015 (5-6) and playing vice for Sven Michel in 2016 (4-7). Pfister is having a solid season, owning a 46-31 record on tour and winning the German Masters this past January. Consistency seems to be the plague of death though as this team has only qualified in 3 of 9 tour events. They also own a lopsided 2-9 H2H record vs. the competition with both W's coming against Netherlands. They may have an outside shot at the playoffs, depending how they do and other results but expect them to just fall short of a playoff berth this week. USA (Greg Persinger) - If you want to talk about pressure there may be no team feeling it more than the newest USA men's champions from Seattle, Washington. Team Persinger not only will be the home nation team competing this week BUT they also will try to follow-up the Olympic gold medal win from compatriot's Team Shuster. Oh...AND this is their rookie world championship appearance. Yikes?! Persinger is having a good season though, owning a 43-20 overall record and qualifying in 6 of 8 tour events. They have a tour title under their belt this season (Curl Mesabi), another tour final (Oil Heritage Classic) and a few SF showings (US Open, Oakville Fall Classic). The big question mark, outside the pressure alone, will be the competition level. They are only 1-2 vs their competition this week and, for the most part, have mainly faced off against fellow US teams. They do not have the high-level international experience, which could hinder them. At the US Olympic Trials they finished a dismal 1-7; however, at the recent US National Championships they went 10-1 en route to knocking off Team McCormick for the title. How will they do on arena ice...with the world watching...with the pressure of USA fans salivating for more strong curling results....against a strong international field with more experience? If they can get off to a good start, perhaps even 1-2 or 2-1 opening weekend, it could be a tell tale sign for the rest of the week. They open with Japan and Netherlands remember...and end with Switzerland and China. It's those middle of the week games that could be scary! Bronze Medal: Scotland (Mouat) def. Korea (Kim) - In talking about rivalries, perhaps the Mouat vs Kim rivalry is becoming the season's preliminary highlight fight to the main event. These two have met three times this season before this event and will meet again in the RR here. Don't be surprised to see a 5th battle on the ice when they square off for a podium spot. Mouat denied the #PACC region a grand slam title in November and, once again, will deny the region a podium spot in Vegas and up his season record to 5-0. Hmmm...they could play one another again at the Champions Cup in Calgary to end the season? 2018 WORLD MEN'S CURLING CHAMPIONSHIP FINAL: Sweden (Edin) def. Canada (Gushue) - Edin has had a rough season in many aspects. Losing the Olympic final coupled with two #gsoc final losses earlier in the year, he really needs to come out swinging in a championship final and this could be the perfect time to do so. Expect #KingNiklas to regain his crown in Las Vegas in a VERY close final...perhaps an extra end!? There you have it curling fans. Another chapter in the #CANvsSWE rivalry will be written in the desert sand...or maybe in the Patch Pool Party water? Either way, expect to see another Canada - Sweden battle for gold on Sunday April 8 and, this time, expect #KingNiklas to exact his revenge (assuming his body isn't lagging too much!). I am also excited to report the #TwineTime blog will be in Vegas starting Wednesday April 4 through to the gold medal final. #StayTuned on twitter for live updates and who knows what else fun and exciting surprises will be in store.